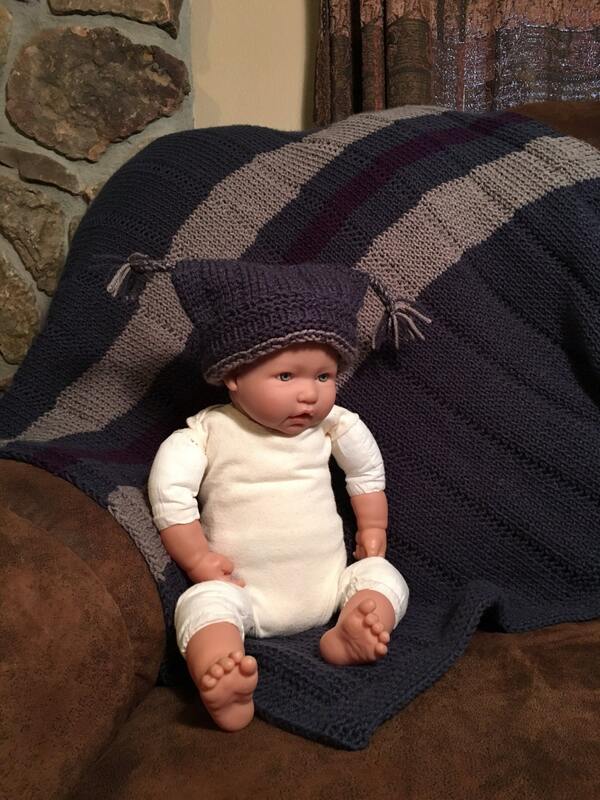 This pattern includes both the Striped Baby Blanket pattern and the matching Striped Baby Tassels Hat pattern. 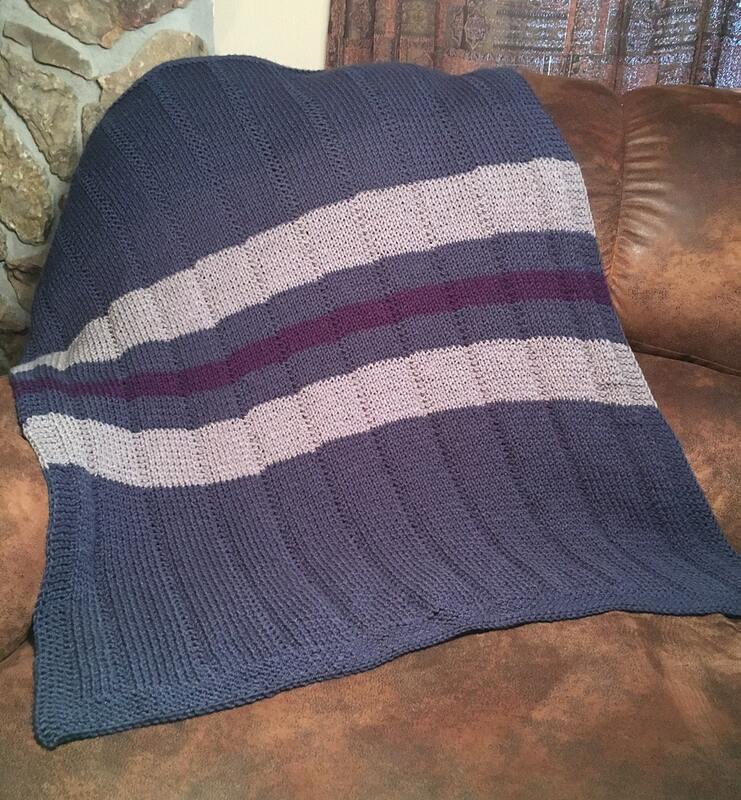 The striped baby blanket is knit on the 28” Authentic Knitting Board’s Knitting Board with Extenders or the AKB Afghan loom. 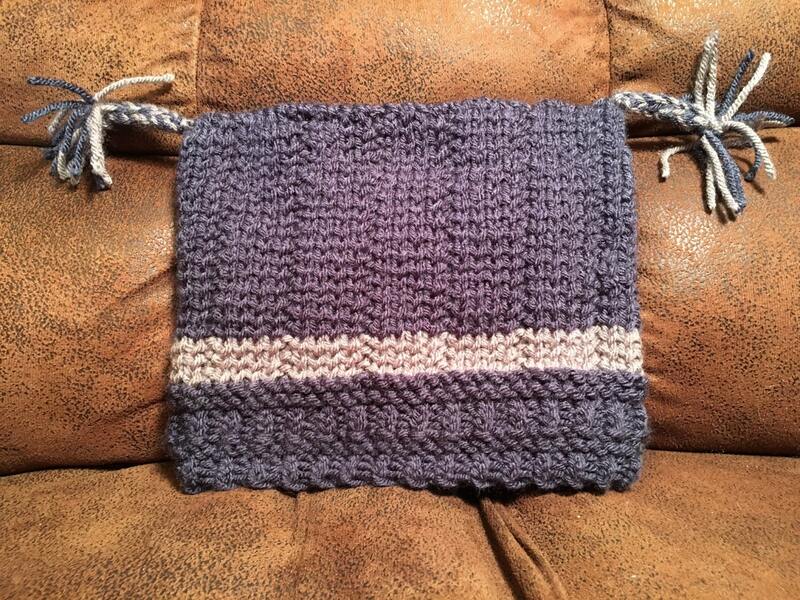 You could also knit it with any 1/2” gauge loom that has 110 pegs. 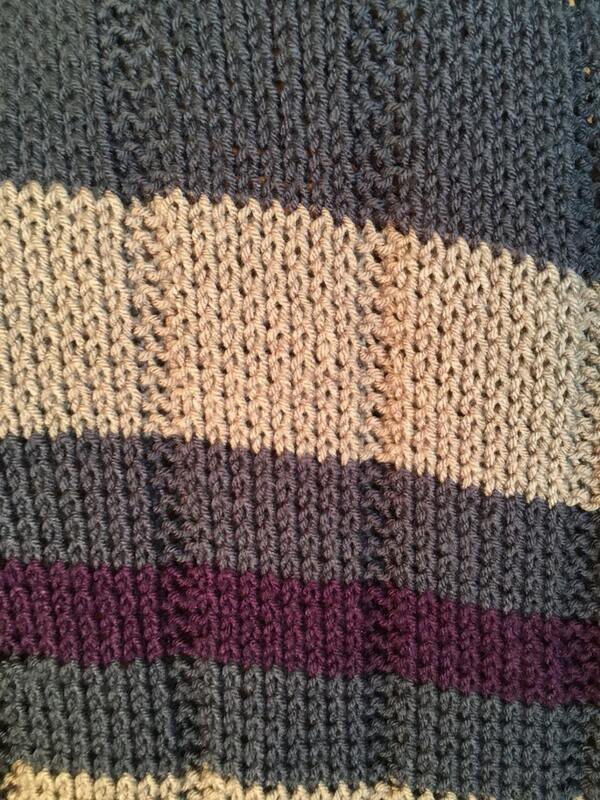 The striped baby tassels hat is knit on the All-N-One loom.